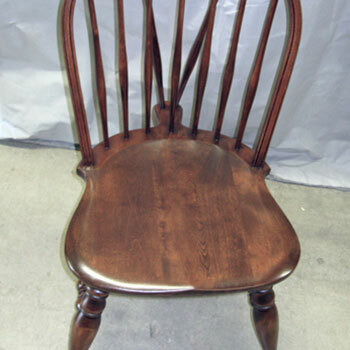 Repair and refinishing of an old spindle back chair. This customer had purchased this period piece and wanted to use it in their home. The frame was well made but the joints were coming loose. The chair was completely taken apart. Since new glue doesn’t stick well to old glue, the old glue was removed from the joints, and new high strength glue was used. 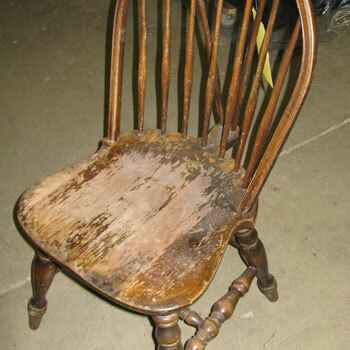 The chair was clamped, while the glue dried, and the wood was then refinished. This chair now occupies a proud place in our customer’s kitchen.